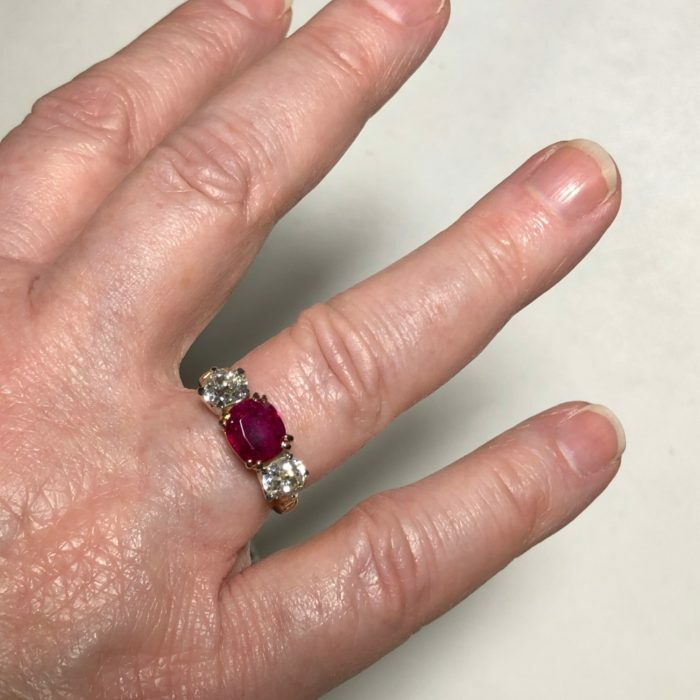 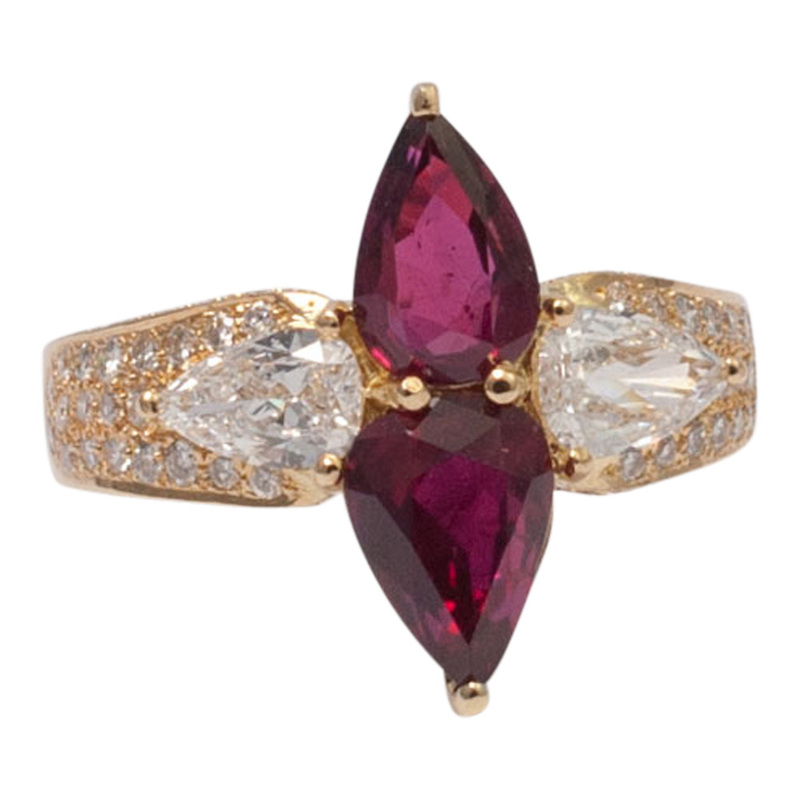 Ruby and diamond 3 stone ring – the ruby weighs 2.2cts and is Certified by the SSEF as originating from Burma with No Heat. 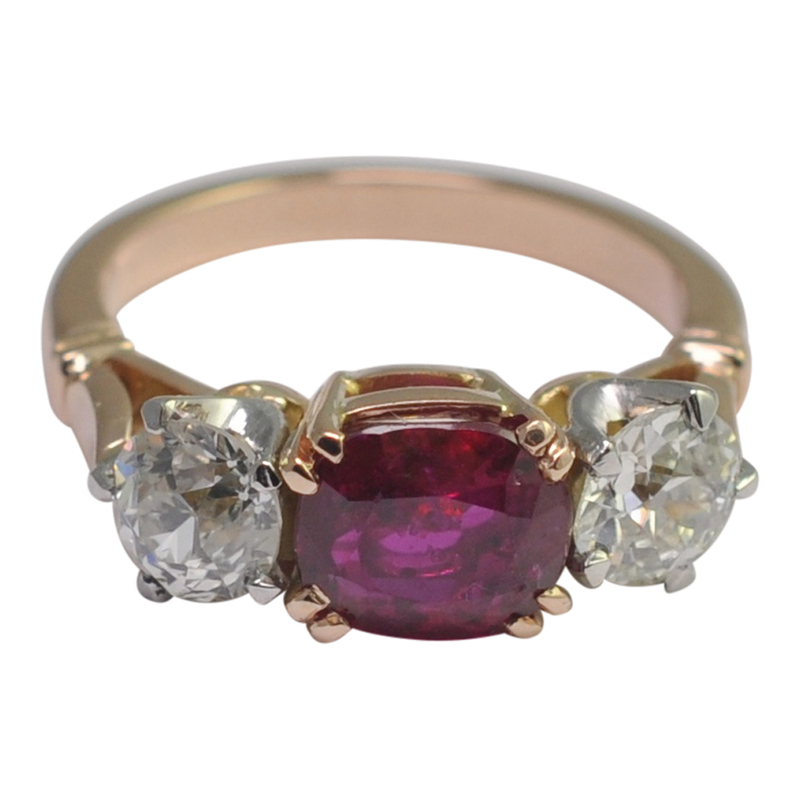 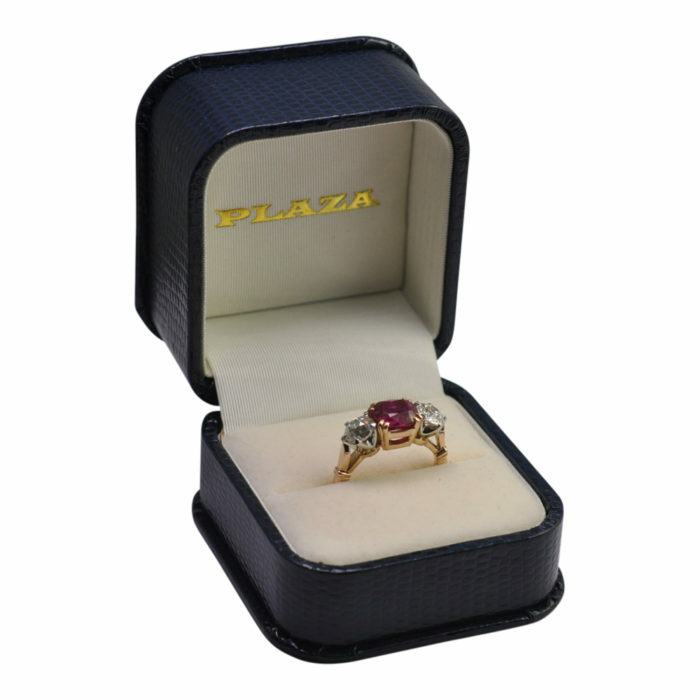 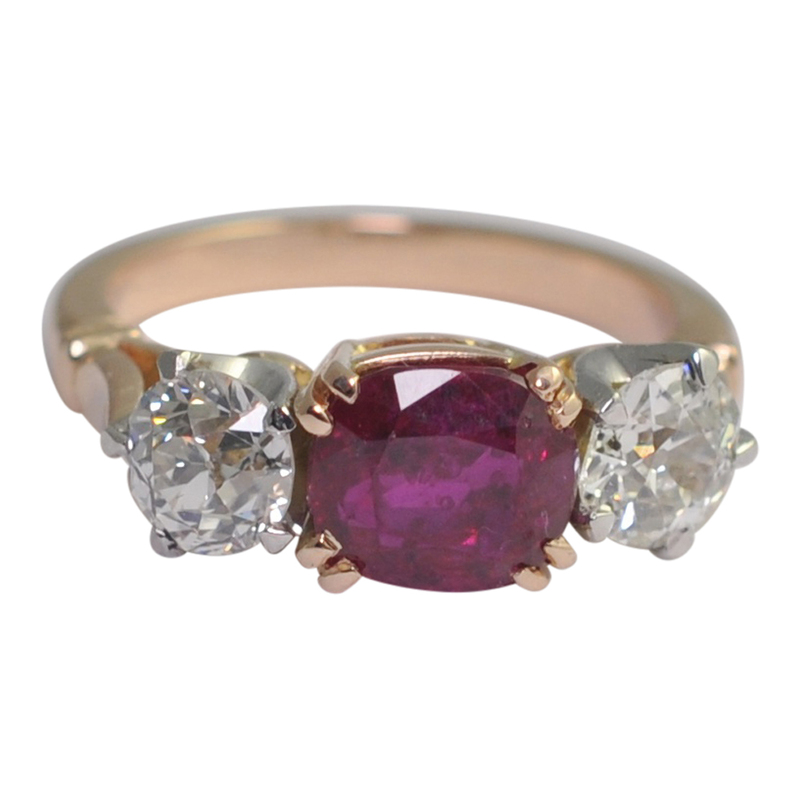 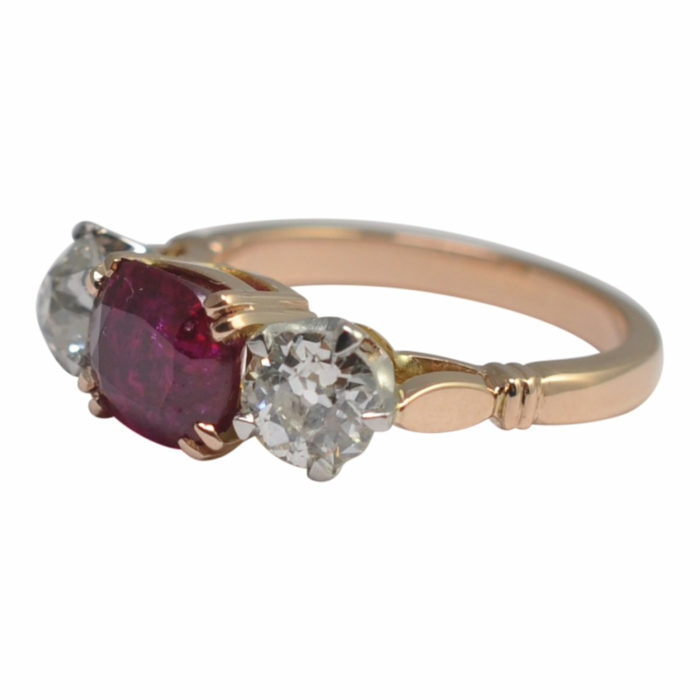 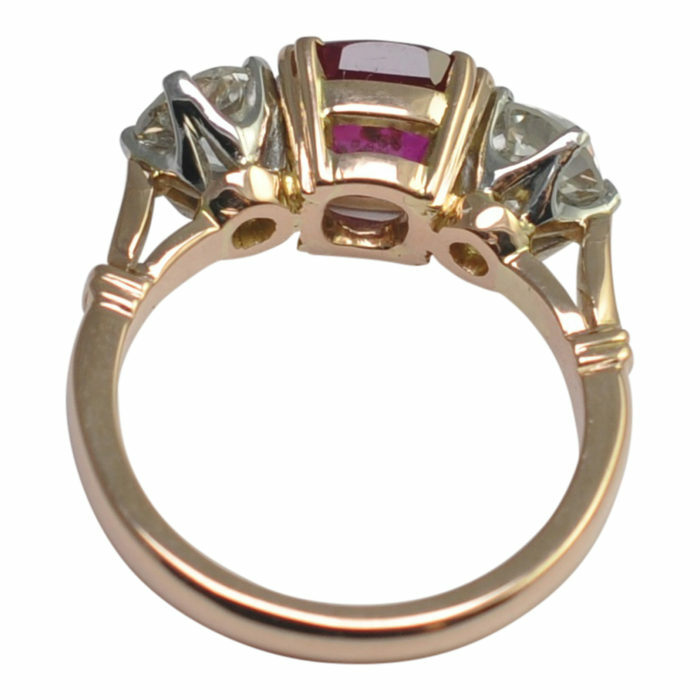 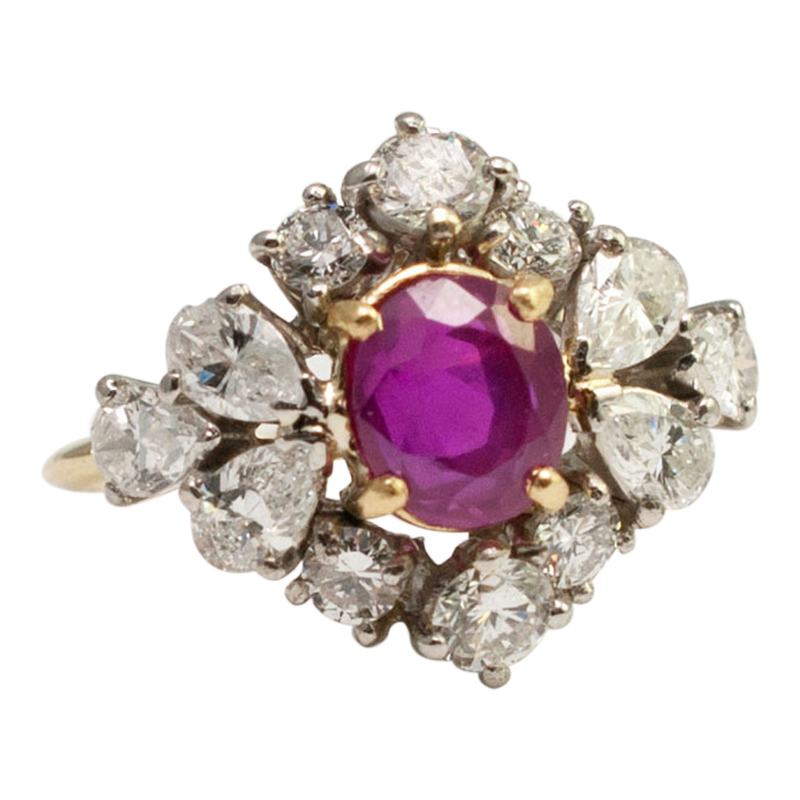 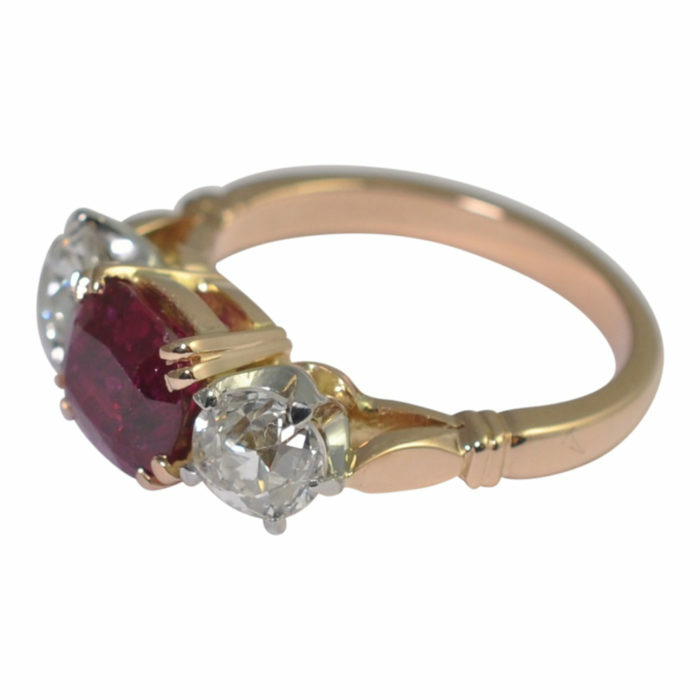 It is an antique cushion cut ruby, red with medium strong saturation and it positively glows from within. 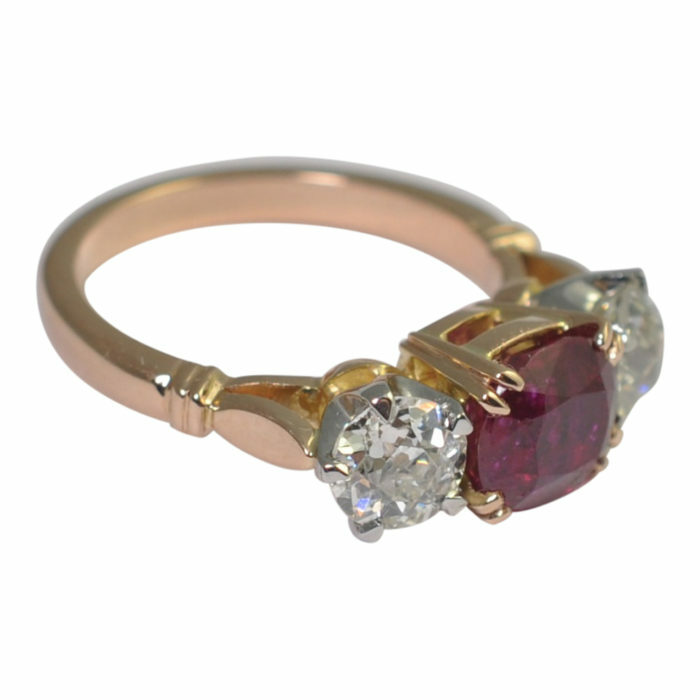 On each side there is an Old European Cut diamond, one weighing 0.75ct, the other weighing 0.65ct, with a total weight of 1.40ct. 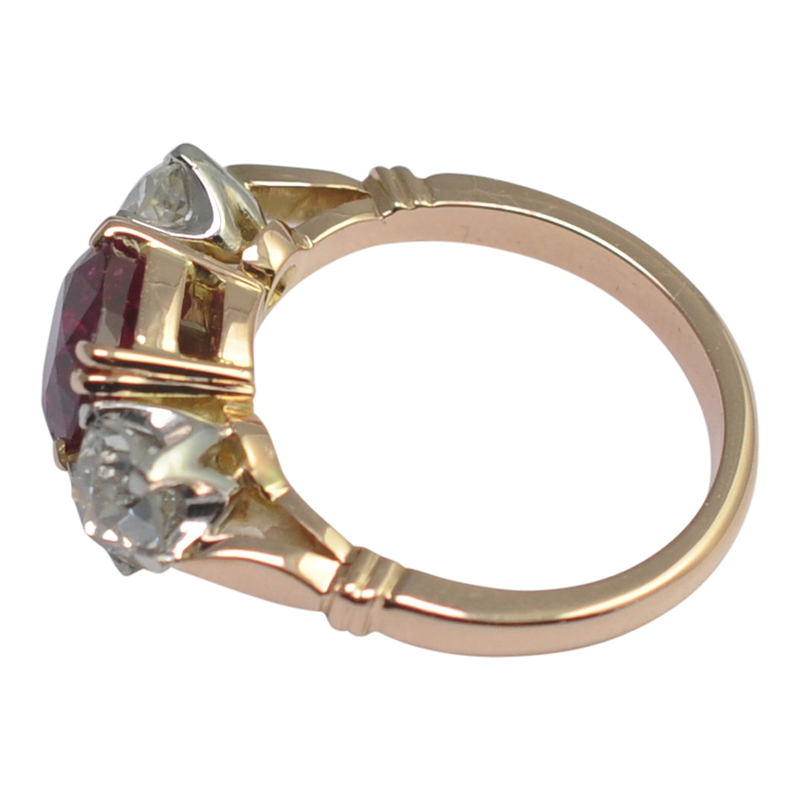 The setting is rose gold and tested as 18ct. 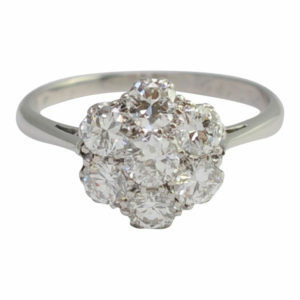 This is a fantastic ring of high quality which is in excellent condition and. 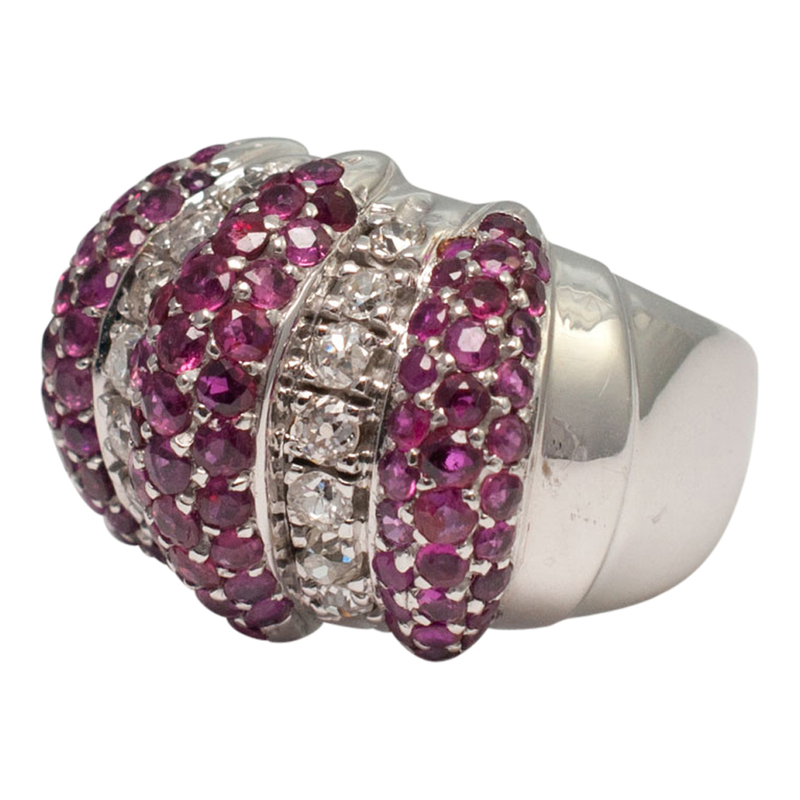 Finger size M (UK/AU), 6.5 (US), 53 (French) which we can re-size for you if required.